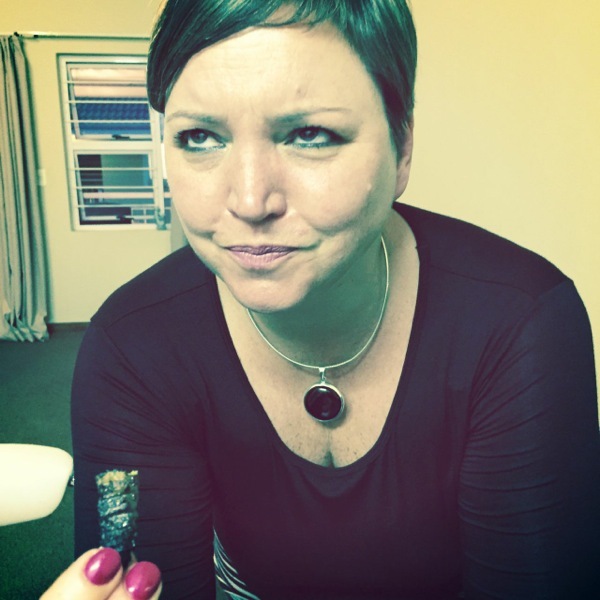 Can you eat worms in South Africa? I have some Zimbabwean friends who invited me for dinner a couple of weeks’ ago. It was to be African food. 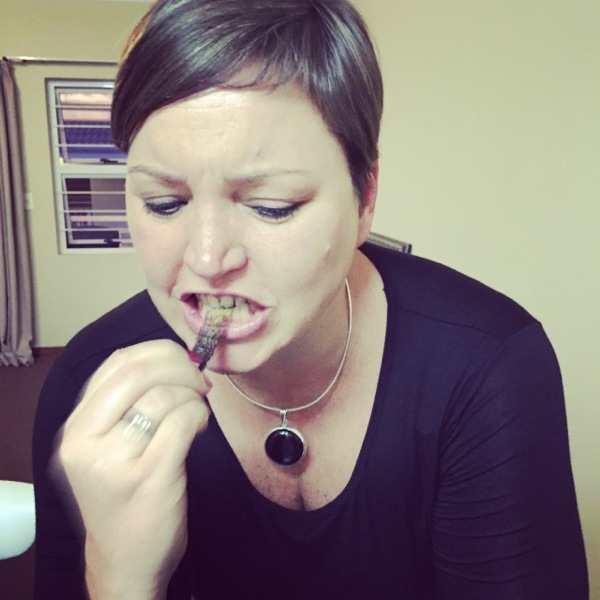 Now, being South African and a pretty adventurous eater myself, I was both excited and worried. I begged her not to feed me chicken heads, as African often eat ‘walky-talky’ … chicken heads and feet. The feet I could manage, the heads not! She promised me there would be no heads. But I was still worried, especially when she said: “You don’t have to eat everything. What you don’t want to eat you can photograph”. I arrived to their lovely, but sparsely furnished flat in Pretoria North. I felt a thrill, but was petrified at the same time. What would be on the menu? Worms! 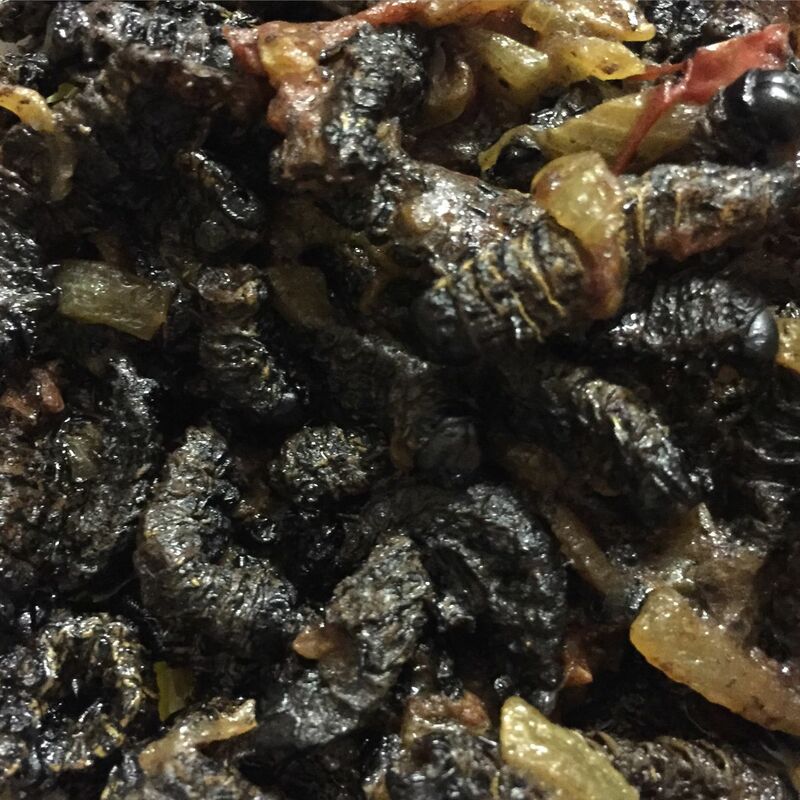 Mopani worms to be exact. This is what they look like. Now I bet you’re wondering what they tasted like. Not too bad actually. I must be honest, I wouldn’t pick them off a menu, but I would happily eat them again if served them. They’re quite chewy and rather meaty. To me they tasted like roasted brisket. As they are rehydrated, I don’t know whether they might get soft again if you stew them for a long time. But then again, if you do that … they would be more worm-like, and I am not sure I’d like that! I should also mention that we ate the meal with our hands. It felt unusual, but rather liberating! But as in Asia, you eat with your right hand only. Left hand is reserved for more unsavoury duties. Peanut butter rice. This was rather good. I would love to try and make this myself. It has this satay thing going and I think would taste delicious with an asian-style stir fry. I might just not make my own peanut butter like they did! Pap. 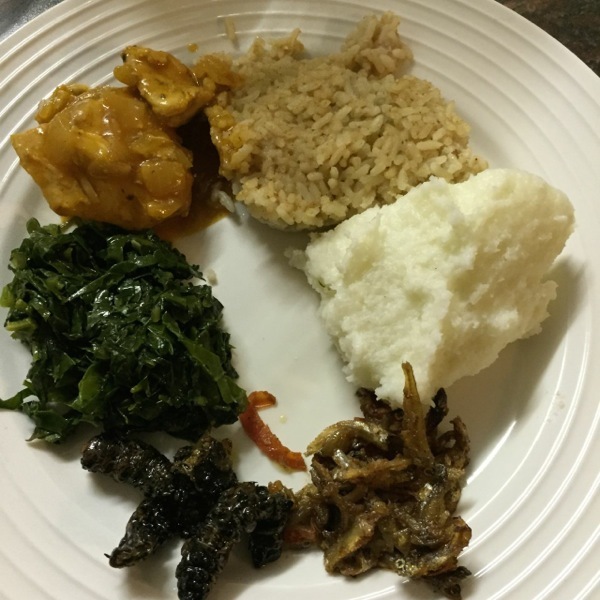 This is the stable diet for most of Southern Africa. A bit like polenta. I love it and make pap myself often, but I normally make the putu variety, which is crumbly and a little more like couscous. Kapenta. These are tiny little fish which are also rehydrated and then cooked with onions, tomato and a seasoning. I liked kapenta – very nutritious too! Covo. This is a spinach type green veg, but to be honest, I preferred covo to spinach. It holds its form when it’s cooked, rather than like spinach that collapses. It reminded me of some of the leafy greens you eat in China. Chicken dish. This chicken was delightful and so tasty I had seconds. Interesting thing is that over dinner we were discussing world foods. And while everyone was happily eating worms, the thought of English black pudding or sushi disgusted them!